While athletes have long depended on nutritionists to put together the ideal diet to enhance their performance on the track, in the pool or on a court, a research team is delving deeper. If researchers can determine what the ideal composition of micro-organisms within the intestinal tract is for Japanese based on their diet, it could help improve the performance of athletes, said team leader Hidetoshi Morita, a professor of applied studies into micro-organisms at Okayama University’s Graduate School of Environmental and Life Sciences. It is believed that about a thousand different types of micro-organisms are present in a person’s intestines at any given time. Those micro-organisms play an important role in maintaining the health of the individual, but the composition changes depending on the person’s diet. The team has collected stool samples from about 50 track stars and professional soccer players. The number of athletes to be studied will be increased to about 100 and include volleyball players and those involved in other sports. 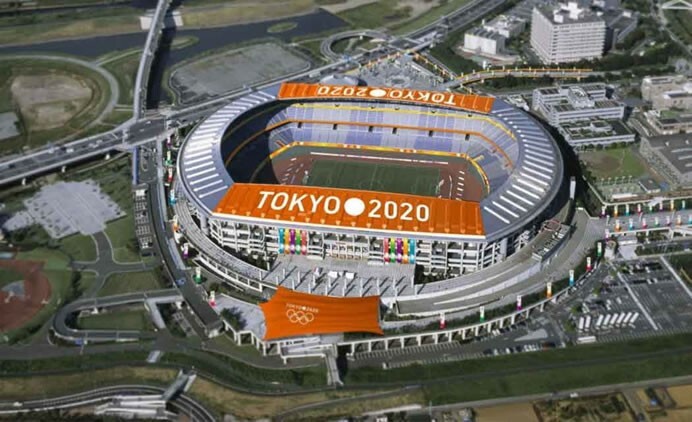 The athletes have been chosen because they are more likely than the general population to already be under a strict diet and also because they have trained bodies. The DNA of the micro-organisms found in the stool will be analyzed, and changes in micro-organism composition will be checked before and after competition. 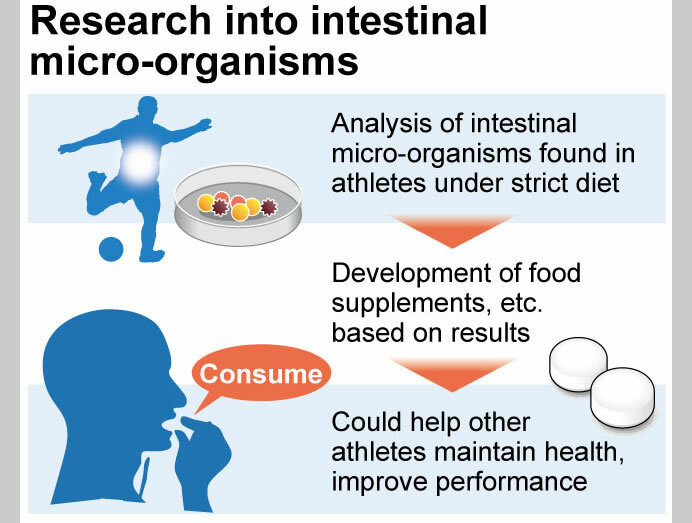 Further work will be done to come up with a diet that will help others more closely achieve the ideal micro-organism composition found among top athletes. The results could also be used in developing food supplements to positively modify the micro-organism composition of athletes to improve their performance.